Most people struggle to get out from debt like they’re drowning in the ocean. Like drowning, they waste energy, time, and money floundering and flailing instead of taking calculated, focused, strategically-timed strokes that would free them most efficiently. The Cash Flow Index removes this struggle. Before we dive into the Cash Flow Index, let’s talk about why this happens. Often, people focus on solving the wrong problem. When it comes to paying off debt, most people are riveted on the interest they are paying. They let it steal their attention like a car accident in the other lane causes the rubber-necking drivers to lose focus on staying in their own lane. When it comes to paying off debt, interest is only the second priority. It plays second fiddle. It’s cash flow that is the first priority. A focus on interest rates is like a focus on all the deep scary ocean water, full of sea creatures below you. It’s the wrong place to put your attention if you want to swim. Don’t work to escape the water, work to reach the air. Previously, in Why Debt Free Doesn’t Make You Financially Free, we demonstrated clearly what debt is and what it isn’t, and that rushing frantically to pay off loans may be one of the riskiest financial moves you can make. We revealed that just because you have loans doesn’t mean you’re even in debt, and that the end goal of being rid of debt might not get you any closer to financial freedom. Then, in The Right Way to Spend Money: Spender, Saver, or Steward? we discovered the limitations of both the Spender and the Saver. We also uncovered the superpowers of the Steward to create wealth through control, access to capital, and earning uninterrupted compound interest. In Opportunity Cost: The Invisible Cost of Financing, we busted the myth that paying cash always saves you money. We discussed that there’s always a cost of capital, and the person who comes out ahead is the one who maintains control and access to their money. Now, if you are in a position with multiple loans, and you’ve decided that the most productive use of your capital at this time is to pay off loans, it’s time to get a game plan. We’ll help you calculate the best strategy to pay off debt, while decreasing risk, increasing your cash flow, maintaining as much financial control as possible, and avoiding a crisis of liquidity. We’ll call it Cash Flow Index Snowball Method. It’s a comprehensive cash flow strategy for paying off debt. Should I pay off my debt? If so, how do I pay off debt the quickest, most efficient, smartest way possible? How do I pay off debt to best increase my cash flow? How do I avoid rubber-band debt? What steps do I take to avoid a crisis of liquidity? This conversation will move you from haphazard overpayments to a strategic, focused plan that increases your financial control. You’ll get the one simple calculation that tells you how much you’ll increase your cash flow by paying off each debt. Instead of riding the rubber band cycle of paying it off to racking it up again, you’ll be able to eliminate debt once and for all. Paying off debt is not a destination. 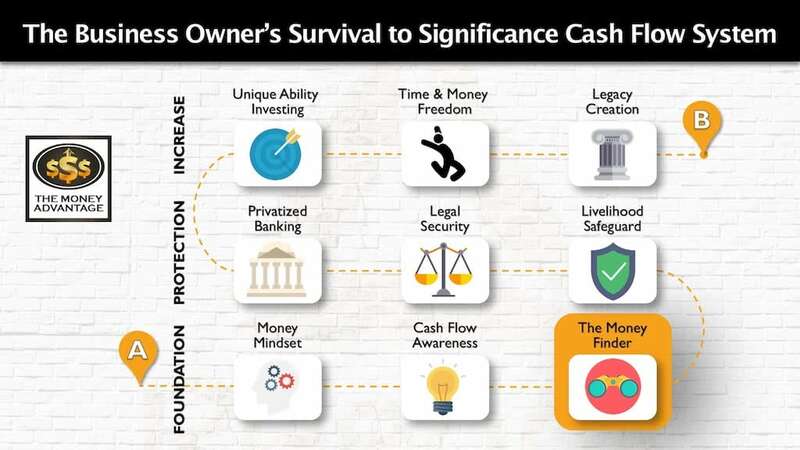 It’s just one step in the greater Survival to Significance Cash Flow System. It’s important to have your eye on the endgame to make sure all of your decisions along the way line up to get you there. The ultimate epitome of financial accomplishment is to have cash flow from assets, achieve time and money freedom, and contribute at the highest level. To qualify to invest in cash-flowing assets, you need capital to invest. If you don’t already have the capital ready, the best way to build it is to maximize your cash flow today and put as much of your cash in your control as possible. Paying off loans, and more importantly, understanding your financing decisions, is part finding and freeing up money in the foundation. It’s where you keep more of the money you make and increase your cash flow. When you keep more today, you increase your options, flexibility, and power to create lasting wealth. Many people think that the best way to pay off loans is to start with the high-interest loans first because their goal is to pay the least interest. While ideally, you want to have low-interest loans, this strategy can have you chasing your tail if the high-interest loans are the largest loans, because it will take forever to reach that first milestone. Another common strategy people use is to get a quick win by paying off the smallest loan first. In this way, they hope to build up traction to pay off the next loan. But, when it comes down to a nuts and bolts strategy for paying off debt, the most important thing to remember is that cash flow is your top priority. You want to ask yourself this question before any financial decision: how does this increase my cash flow? You can think of paying off debt the same way that you think about investing. What is the rate of return on making this financial move? For the dollars I commit, how does it improve my cash flow? To pay off your loans to increase cash flow, we’re going to arrange your loans in order of pay-off priority. Then, we’ll use this information to help you decide whether you should pay off the loan, and if so, which ones to do first. This method is similar to using the debt snowball method, with a few key differences. You’ll rank loans differently, so you can pay off the one that frees up the most cash flow first and gain momentum as you have added cash flow to attack the next loan. Additionally, you’ll always keep a liquid fund for emergencies that you don’t use for paying off debt. You need an easy way to compare all of your loans on the same terms so that you can figure out which ones to pay off first. The Cash Flow Index is the best way to quickly determine which loans have the highest payment relative to the balance. To calculate the efficiency of each loan, you just need two numbers for each loan: the balance of the loan, and the minimum payment. It’s important to note that you may be making overpayments or rounding up each time you pay the bill. Don’t use the amount you’re actually paying. Use the minimum required payment instead. For mortgages, you’ll want to use only the portion of the monthly payment made up of principal and interest. Don’t include taxes and insurance that are tacked on and added to escrow. What Does the Cash Flow Index Mean? 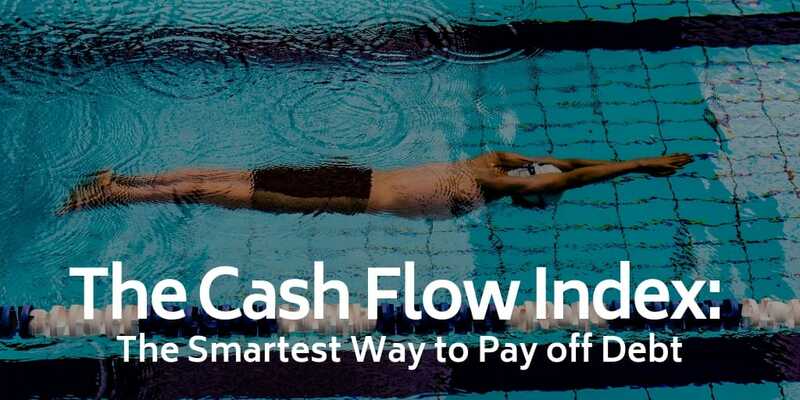 The Cash Flow Index helps you quickly see the amount of cash flow a particular loan is using up, and on the flip side, how much extra cash flow it would give you if it was paid off. It’s like converting fractions, so they all have the same denominator. That way you can compare apples to apples. Lower scores mean the loan is sucking up more cash flow each month. These loans cost you the most, so they’re the best ones to throw overboard. When you have low index loans, they use up the most monthly cash flow proportionately. When you pay it off, it frees up the most monthly cash flow. We call these loans the least efficient loans, meaning they are not good loans to have. Conversely, high scores mean the loan uses up relatively little cash flow each month. These are the most efficient loans, meaning that they are the best loans to have. They are also the least important to get rid of. To pay them off would require a lot of capital, and you’d get very little cash flow in return. Here’s an example. Say you had a $10,000 auto loan at 0% interest and a $10,000 credit card at 18% interest. The auto loan scores lower, meaning that it’s more important to pay off first. Why? Because doing so gives you more monthly cash flow. Scores that fall between 0 – 50 on the Cash Flow Index are considered in the Danger Zone. These are loans you want to pay off or consolidate into another loan at a higher index. Scores between 50 – 100 on the Cash Flow Index are in the Caution Zone. You want to restructure or refinance to a lower index, but you don’t need to pay it off immediately. Scores over 100 are in the Freedom Zone. Contrary to popular belief, these are loans you don’t need to pay off. There are so many more productive opportunities to use your cash to create more cash flow than you would by paying off these loans. Most mortgages and student loans fall into this category. Another way to look at this is as a rate of return. Calculate rates of return the opposite direction: annual cash flow/investment. It’s what you get out, divided by what you put into the deal. This method is a revealing way to determine the highest and best use of your capital. Sometimes, you’ll discover that you have other opportunities to invest where your money will work harder and create a higher cash flow payoff. After we’ve assembled the data, how do we use it to make decisions? Should You Pay off Loans? The first question you should ask yourself, is should I pay off this loan? Before you set up your plan of attack, you want to make sure paying off loans are the best use of your resources. There’s always more than one way to do something, including using your cash to increase your cash flow. The same capital it takes to pay down debt to decrease expenses could instead be used to invest in assets that increase income. Both moves will increase your cash flow if you hold everything else in your life steady. It’s your job to decide what the highest and best use of your capital is. And coming up with the answer requires taking an in-depth look at your creativity, stewardship, and the opportunities that you know and control. Even when comparing the Cash Flow Index scores, it’s important to note that not all loans are created equally. Some loans are purely consumptive. They’ve purchased something you eat or use up, or that loses value the moment you swipe your card. Other loans purchase assets that have and hold value better, like property or cars. You could sell them later and recover at least some of your capital. You’ll want to use this loan quality metric to help guide your decision-making. If $10,000 could pay off a loan to give you a 6% rate of return by giving you $600 in annual cash flow, could you get a better return by investing somewhere else? What if you had the cash to pay off that loan, but could get a 20% rate of return by investing into your business, generating $2,000 in new revenue per year? Ask yourself, can I earn more with this money if I keep it than I would save in interest if I pay off the loan? Work to become liability-free, if that is the best use of the money for you. If paying off a loan is the highest and best use of your cash, pay off the debt with the LOWEST cash flow index first. This strategy will increase your cash flow the quickest by freeing up the most money each month. More importantly, it will give you the most freedom and peace of mind. A welcome side effect will be an improvement to your debt to income ratio, and banks like that! If you’re looking for financing, you’ll qualify for lower interest rates and better terms, securing future loans that show up with a lower Cash Flow Index score. And this keeps more of your future dollars in your pocket, too. #1) Continue making minimum payments. Make sure you never miss a payment. On-time payments go the furthest towards boosting your credit score. However, resist the urge to make overpayments at this time, because you have higher priority things to use your cash flow for. Plus, an overpayment today doesn’t improve your chances of making the next payment on time. Speaking of highest priority, before paying off any debt, build up money in your control that you can access. Savings is the ultimate prevention for a liquidity crisis. You’ll never come into a position where you need cash, have none, and have to dip back into debt to make ends meet. #3) Keep an emergency fund. Not all of the money in savings will be used for paying off debt. No matter how urgently you want to erase the loan, or how high the Cash Flow Index, you will sleep the soundest and breath the easiest knowing you always have cash. #4) Find your lowest index loan. Remember, the lowest index loans are money hogs. Those loans are draining you of the most cash flow now and will free up the most money per month when they’re gone. #5) Pay off the loan all at once. Instead of slinging small overpayments to the loan, wait until you have sufficient cash over and above your emergency fund to make a lump-sum payment to wipe out that loan. You’ll stay in the most control at all times. 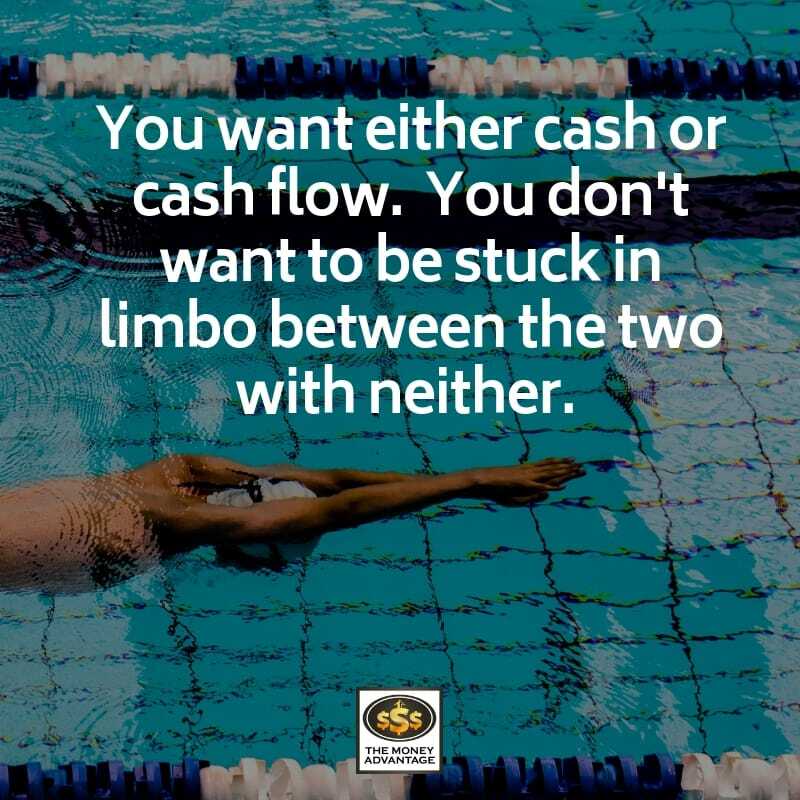 You either have the cash, or you have the cash flow from paying it off. You’re not stuck in limbo between the two with neither. #6) Redirect new cash flow to savings. Whatever the eliminated payment, direct that cash flow to savings, to rinse and repeat the process for the next loan. Using the Cash Flow Index Snowball Method increases your cash flow and control. It decreases risk, helps you maintain as much control as possible at all times. Because it emphasizes building up capital, it eradicates debt, even if you don’t pay it off. That’s because the definition of debt is a position with more liabilities than assets. If you build up the assets above the level of your liabilities, you’re out of debt, even if you still have the loan on the books. Instead of using a typical savings account where your cash grows slowly and ceases to compound the moment you use it, consider storing your savings inside high cash value whole life insurance. Using life insurance as your savings vehicle of choice allows you to maintain uninterrupted compounding, even when you use your money. Using this tool, you will still want to follow all the steps above. Capitalize the policy, build up cash value, maintain an emergency fund, and pay off least efficient loans first, all at once. Then, cash flow you free up from canceled monthly payments can be used to pay down your policy loan and remove the lien against your cash value. Sometimes it makes sense to refinance loans to lower payments and increase cash flow. One strategy could be to refinance a mortgage, roll in the lowest Cash Flow Index non-deductible debt to reduce your total interest and payments. More of your interest will become tax deductible, additionally increasing your cash flow. Paying off loans is a personalized process and requires an evaluation of your complete financial picture and goals, so there may be times you consider other factors. For instance, you may have an immediate deadline to boost your credit, so you can purchase a property. This may require partially paying down some balances to reduce your total utilization. You may have cards that have a 0% introductory rate that increases at a specific deadline. You may have some active credit cards that you use as a debit card. Whether it’s to earn points or just for convenience, you use them regularly and pay them off, never maintaining a balance. It’s not necessary to add these credit cards to your Cash Flow Index Snowball Method. The cards you want to include in your strategy are the passive cards where you have a previously-incurred balance you’re trying to pay down, but you’re no longer charging on this card. Always seek the highest and best use of your capital and keep your eye on increasing cash flow as your true north. Whether you choose to pay off loans, and which ones are best to pay off will change for you over time, based on your stewardship and creativity at that time. Be patient with yourself and know that if you are continually improving your mindset, you will increase your stewardship over time. The Cash Flow Index Snowball Method will help you free up the most cash flow while keeping as much cash in your control as possible at all times. You’ll gain momentum in building savings by attacking the loans that free up the most cash flow first, always maintaining a liquid fund for emergencies. Equipped with a new perspective and possibilities, you now have a choice. You can fear debt, pay everything extra to it, at all costs, to reduce it, and put yourself in a dangerous position without cash. Or, you can upgrade your stewardship and strategically make decisions to increase your cash flow and control systematically. Wherever you find yourself today, use this cash flow method to pay off debt and increase your cash flow and control. If you have loans to pay off and have the cash in hand to pay them off, don’t try to DIY your own strategy.